Manuka Health Propolis and MGO 400 Toothpaste with Manuka Oil helps to maintain healthy teeth and gums, leaving the mouth feeling refreshed. 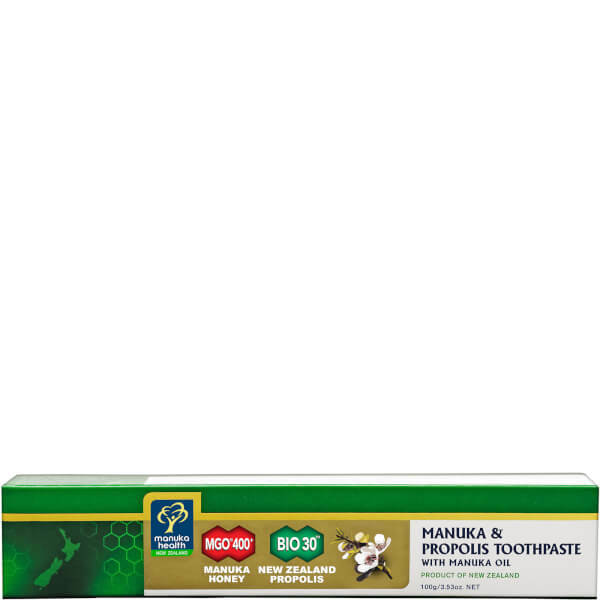 The pleasant, menthol formula combines BIO30™ New Zealand Propolis, high grade MGO™ 400+ Manuka Honey and Manuka Oil with natural plant extracts, resulting in gentle cleansing and effective oral hygiene. The essential oils and herbs provide a great taste and leave teeth feeling fresh and clean. Fluoride, SLS and preservative free. 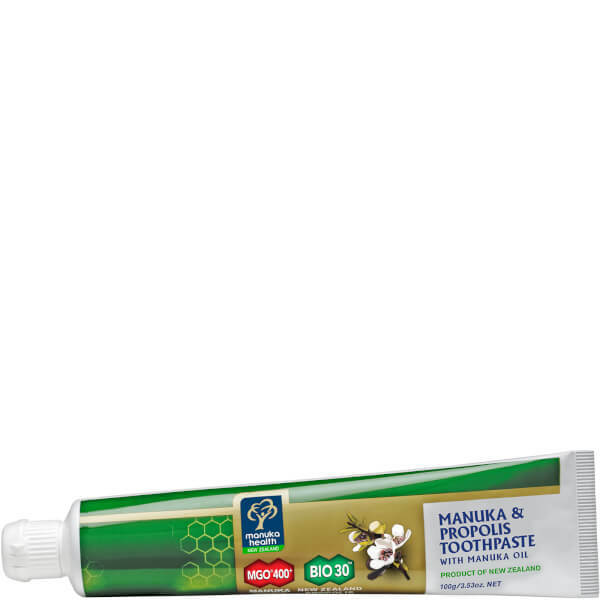 For better results brush your teeth with Propolis & MGO™400+ Manuka Honey Toothpaste after every meal.